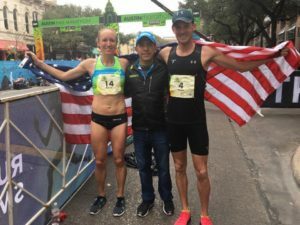 Kayleigh Williamson made history on February 19th at the 2017 Austin Marathon® presented by NXP. She became the first female participant with Down syndrome to complete the Austin half marathon. Despite warmer than normal temperatures, Williamson finished the 13.1-mile course in six hours and 23 minutes. All throughout the course, Kayleigh had thousands of cheering supporters, including a race official and a local police K-9 unit. She approached the finish line in a dead sprint surrounded by her mother, amazing friends, and her RunLab coaches. Williamson and race official Rod Newlin. Credit RunLab. “I loved the race and that I was able to race with all of my friends and inspire others,” said Williamson. Roughly 125,000 participants, spectators, and volunteers enjoyed the 26th annual Austin Marathon, produced by High Five Events. Former Austinite Joe Thorne (2:32:05) and Austinite Allison Macsas (2:48:16) both won the marathon; while South Africa’s Sphamandla Nyembe (1:11:36) and former Austinite Allison Mendez (1:21:42) won the half marathon. FloTrack provided live coverage of the marathon and captured everyone as they crossed the finish line. Second and third place in the marathon for the men went to Daniel Bishop of Salt Lake City (2:33:02) and former Austinite Jared Carson (2:35:11). Central Park Track Club’s Caroline Veltri (2:58:36) and Austinite Jennifer Harney (3:07:26) finished the marathon second and third respectively. Adam Waldum of Cedar Park (1:12:33) and Nicholas Sterghos of Colorado Springs (1:16:05) finished second and third in Sunday’s half marathon. The second and third place females in the half marathon were Beth Panke (1:24:48) and Tracie Akerhielm (1:26:10). FloTrack’s world-class coverage followed the men’s and women’s elite field throughout the race and watched as every participant crossed the line. At times they had a trio of announcers highlighting the Austin Marathon and interviewing staff, sponsors, and the winners live. Participants and spectators were both able to enjoy the enhanced finish line festival that included a beer garden, TriggerPoint Recovery Zone, two Jumbotrons that displayed FloTrack’s live coverage, and several local food trucks. Official Race Ambassador and two-time Olympian Leo Manzano pumped up the runners before they began their race. He was also the inspiration for the Manzano Mile, which was the final marathon, half marathon, and 5K. Manzano is known for his signature kick, which helped him win the silver medal at the London Games in 2012. Every participant kicked for their last mile and finished with the heart of a lion. To cap off the amazing day Chikage Windler, CBS Austin Chief Meteorologist and Austin Gives Miles Charity Chaser, started the marathon in last place. As the Charity Chaser, she ran on behalf of Camp Kesem – University of Texas and raised $1.25 for every marathoner she passed. She finished in 926th place and raised $3671.25. 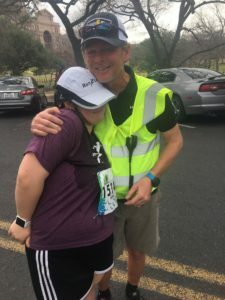 Participants can see their results on the website and continue to share their amazing experiences on the Austin Marathon’s social media channels. For those planning ahead to February 18, 2018, next year’s registration is open and set at the low price of $90 (marathon) and $70 (half marathon). This amazing deal will be available until January 25th. Runners can find their race day photos on Marathonfoto.com. Search for ‘Austin Marathon 2017’ and enter your last name or bib number. The Austin Marathon would like to thank the volunteers, sponsors, spectators and participants They would also like to thank NXP CEO Richard Clemmer, Mayor Steve Adler, silver medalist Leo Manzano, and former race directors John and Stacey Conley for their race day support. 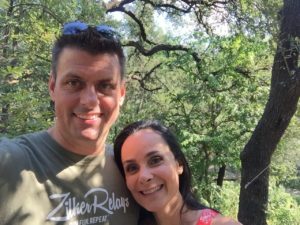 High Five Events is proud to introduce Ben Phillips – Engel & Volkers Austin as the Official Realtor of the 2017 Austin Marathon® presented by NXP. As the Official Realtor, Phillips is currently giving away two Austin Marathon VIP passes and will have a space at the expo, complete with photo booth, to talk to you about your housing needs. 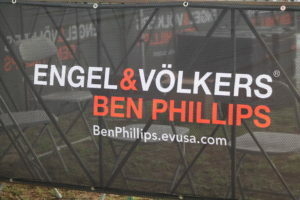 Ben Phillips – Engel & Volkers Austin knows Austin extensively and is a mainstay in the endurance athlete community. Not only does he sponsor various endurance events around town, he often participates in them as well. Phillips uses his real estate experience and knowledge of Austin to help athletes find homes that are within proximity of where they need to train. 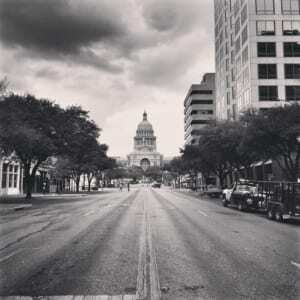 An update on our special series featuring four Austin runners and their journey as they reflect on the 3M Half Marathon and prepare for the Austin Marathon. Brought to you by CLIF Bar & Company, the Official Sports Nutrition of the 2017 Austin Marathon presented by NXP. 2017 started off with a return to running. I had a few challenges at the end of 2016 race season including hernia surgery at the end of November and several weeks of playing single parent while my wife was out of the country. After the operation I had to take it easy for 40 days; no lifting, running, cycling or much of anything. I was given medical release on January 4 to resume normal activities. First thing I did was head to the Barton Springs Greenbelt for a hike. I packed up my backpack with water and some Clif Nut Butters and headed out on a four hour hike, longest I’d done in weeks. I felt pretty good so I continued with some easy training for the 3M Half Marathon. Race day weather was good, wind was to our backs most of the time and I was feeling strong. 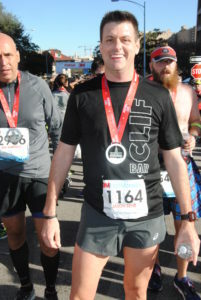 I settled into an easy pace early on and had my standby Mocha Clif Shot gels to keep me fueled through the race. To my surprise I actually ran the entire race instead of a run/walk I expected it to be; my time was 2:07. As fun as 3M was, I now turn my focus to the Austin Half Marathon. I changed my plan from the full to the half after the surgery, but I am actually looking forward to it as I’ve never ran the half course before. With less than two weeks to go until race day, all I can do is trust my years of training and listen to my body to get me through this one and ready for the next. Fuel the adventure!